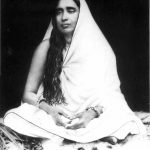 Categories: Ammalu Ammal, Anandamayi Ma, Andal, Holy Mother Sarada Devi, Mira Bai, Mother's Day, Srimad Bhagavatam. The second Sunday in May has come to be celebrated as Mother’s Day the world over. This is a perfect occasion to acknowledge and appreciate a mother’s inherent characteristics of Love and Sacrifice – the two pillars that ‘motherhood’ is glorified for. In this, the greatness of Indian tradition lies in the fact that we not only honor our earthly mothers but also the divine mothers – women saints who cannot be restricted as ‘mother’ to a particular family or community as they truly belong to the entire world, and who have, from time immemorial, shown us the way to lead our lives. While saluting mothers, we have to first bow down to our own Mother Earth, who is the epitome of patience and forbearance. As living beings continue to commit atrocities, she stands by the order of the Lord, which is to patiently bear everything. Nuclear bombs are tested, lands are drilled, trees are slashed down, pollution fills the earth, water and air, trash and waste are buried in landfills; not only these, but the mushrooming of corruption, deceit and cruelty in our world is also an unbearably heavy burden on Mother Earth. Yet she patiently bears all of it for the only reason that there are still a few saints in the world who constantly sing the Names of the Lord. These saints reduce the burden on Mother Earth and she, in turn, shows us the way to lead our lives. In the first canto of Srimad Bhagavatam, we find the great Kunti Devi extolling Lord Krishna. Though she is His aunt, she falls at His feet and reminisces all the dangerous times in the past when He protected them completely. 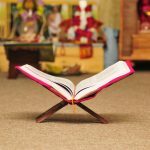 In her song of praise of the Lord, she reveals to us the easy way to attain Him: “shruNvanti gAyanti grNanti abhikshnashah smaranti nandanti tavehitam janAh…” – Hearing, singing, remembering His activities or taking pleasure when others do it is an easy way to cross this mundane existence. Earlier, in the same canto, we find Draupadi grieving over the loss of her five sons, who are brutally killed by Ashwatthama. But on finding out that the culprit is their guru Dronacharya’s son, instead of seeking revenge on the murderer, she actually pardons him! The reason? She does not want Ashwatthama’s mother, Kripi (Dronacharya’s wife), to grieve over her son’s death just as she (Draupadi) herself had to at the loss of her own sons. Is not this unparalleled feeling of compassion worthy of emulation? And the foremost of all divine mothers are the Gopis of Vrindavan. Kabir Das mentions that if every single human in the world turns into a Kabir, they still cannot match the greatness of a single Gopi. Bhishmacharya, the greatest of warriors, praises the Lord with a beautiful prayer on his deathbed. 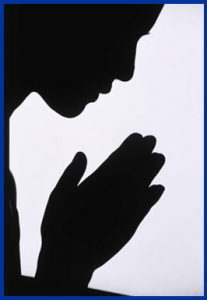 The majority of this prayer focuses on relishing the exploits of the Lord on the battlefield of Kurukshetra. However he ends the prayer by speaking of the Gopis and how they celebrated the Lord in Vrindavan. Kanchi Paramacharya once mentioned that in his previous births he had constantly studied the Rasa Panchadhyayi (the five chapters on Rasa Leela in the 10th Canto of Srimad Bhagavatam), and that that had made him a Pontiff in this birth. Such is the greatness of the Gopis that Uddhava salutes them and yearns for constant contact with the dust of their feet. Though being a student of the great, knowledgeable Brihaspati and personal secretary to Lord Krishna himself, Uddhava finally realizes that those qualifications of his are of no use until he develops bhakti for Lord Krishna just like the Gopis. Hence the Gopis show us what true love is for the Lord is – which is a duty of a mother to teach her child. 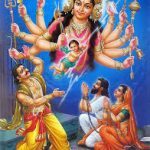 Down the ages, and till this day, the land of Bharatha Varsha continues to be blessed with numerous divine mothers in the form of great women mahatmas. 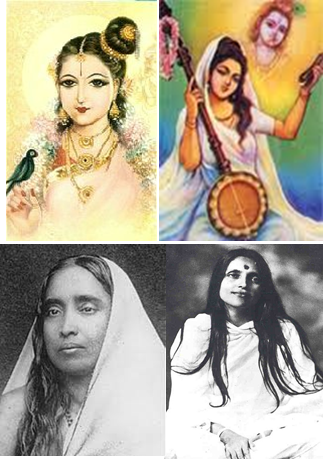 From Andal, Ammalu Ammal in the south to Meera Bai in the north, from Janabai, Mukta Bai in the west to Sarada Devi, Anandamayi Ma in the east, these divine mothers have nourished this great nation with their divine lives. All these saints have lived their lives entirely for the Lord and have shown that the easiest way to please the Lord is to sing His glories, take pleasure in His divine stories and chant His names. And finally, all the above mentioned qualities that a mother should possess are present in one’s Satguru. As His Holiness Sri Sri Muralidhara Swamiji says, when a child suffers, a mother prays to the Lord/Guru to protect the child, whereas the Guru protects the child. Without His grace, we cannot understand or appreciate the greatness of the qualities of a mother. So on this Mother’s day May 12 2013, let us all prostrate to the divine mothers who have enriched our lives and pray to our Satguru to guide us all in the path shown by them. One Response to "Divine Mothers on Earth"
RR! Aravindji I am sure you must have touched many hearts through this article! You have indeed touched mine, along with you I would like to prostrate as well. Jai Gurunath!